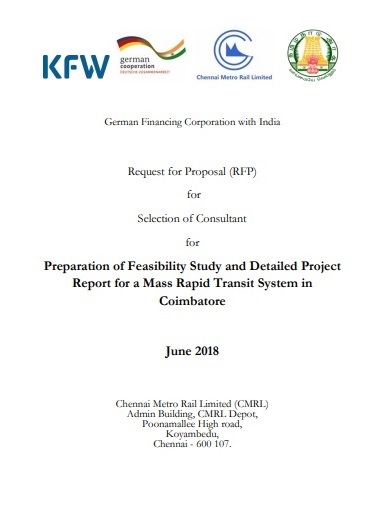 Chennai: The German Financing Corporation (KfW) in association with Chennai Metro Rail Limited (CMRL) shortlisted five firms for preparation of feasibility study and Detailed Project Report (DPR) for Mass Rapid Transit Systems (MRTS) under Coimbatore Metro Rail Project. 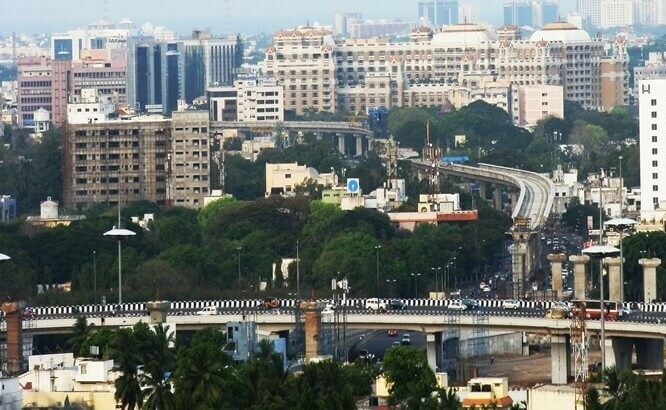 The Chennai Metro Rail Corporation (CMRL) shared the information regarding pre-selection of five international consortium/consultants namely M/s. Brenner BERNARD, BERNARD Ingenieure and TUV SUD, M/s. CPCS, IMaCS and LRTC, M/s. PADECO, Ardanuy and ICT, M/s. RINA Consulting and Urban Mass Transit Company Ltd. (UMTC), and M/s. 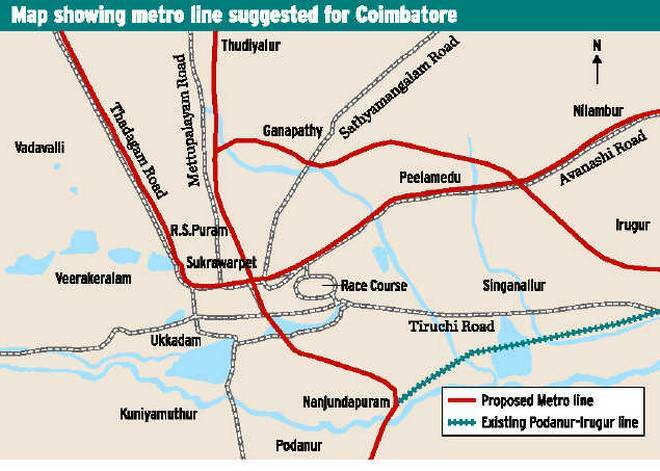 SYSTRA and RITES for submitting proposal for the study “Preparation of Feasibility and Detailed Project Report for Mass Rapid Transit System in Coimbatore”. Availability of Tender documents: Tender document will be available at CMRL office and official website www.chennaimetrorail.org from 27/06/2018 to 09/08/2018 till 15:00 hrs (IST) (During CMRL working hours and on working days). Cost of Tender Document: INR 30,000/- (Indian Rupees Thirty Thousand only). Payment can be made in the form of Demand Draft drawn on any Nationalized bank/Scheduled Bank in India in favour of “Chennai Metro Rail Limited”, payable at Chennai. Online Availability: Document can also be downloaded from official website of the Chennai Metro Rail Limited www.chennaimetrorail.org. If downloaded from website, the proposals shall be submitted along with non-refundable Document Fee of INR 24,000 (Rupees Twenty Four Thousand only) in the form of Demand draft drawn on any Nationalized bank/Scheduled bank in India in favor of “Chennai Metro Rail Limited”, payable at Chennai. Security Money/Earnest Money Deposit (EMD): EMD amount of INR 9,50,000 /- (Indian Rupees Nine Lakhs Fifty Thousand only) in the form of demand draft drawn on any Nationalized bank/ Scheduled bank in India in favor of “ Chennai Metro Rail Limited”, payable at Chennai. The EMD amount will be refunded to all bidders after completion of tender procedure. Tender Validity Period: 180 days. Authority: Chennai Metro Rail Limited (CMRL), Admin Building, CMRL Depot, Poonamallee High road, Koyambedu, Chennai – 600107.